Red is my favorite color to wear. I feel like I look my best in it (other people may think it looks terrible on me, but I think it's a great shade for pale girls with blonde hair who are partial to wearing bright lipstick). Oddly, I don't really own many red things. I always tell myself - "Buy red!" but then I go shopping and just end up buying whatever catches my eye. Red can be kind of rare to find in stores. Or at least the stores within driving distance of my home. 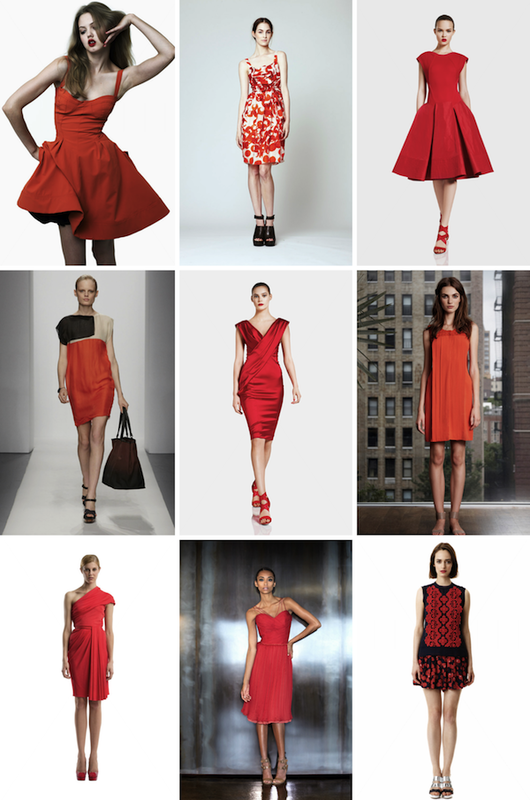 But it wasn't rare in the Resort 2012 collections (all images taken from style.com). I can't afford any of these dresses (I doubt I could even afford to buy the STRAPS of some of them), but if I could - I would. 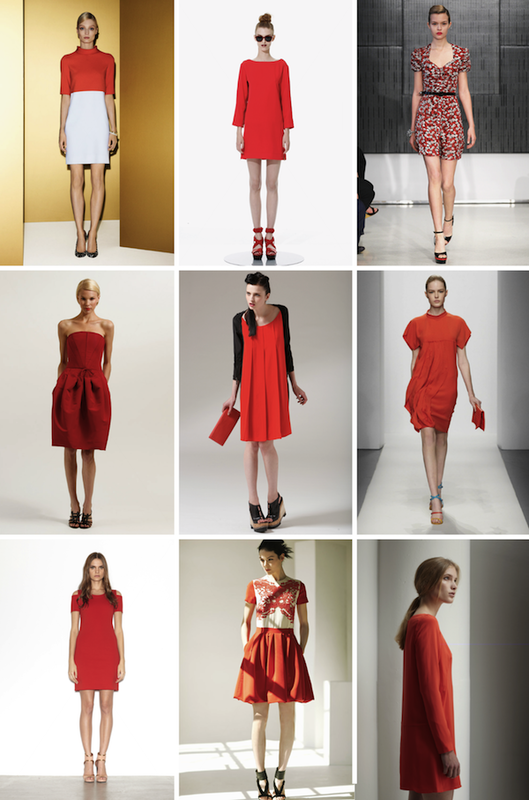 And I'd only wear red dresses for weeks and weeks. 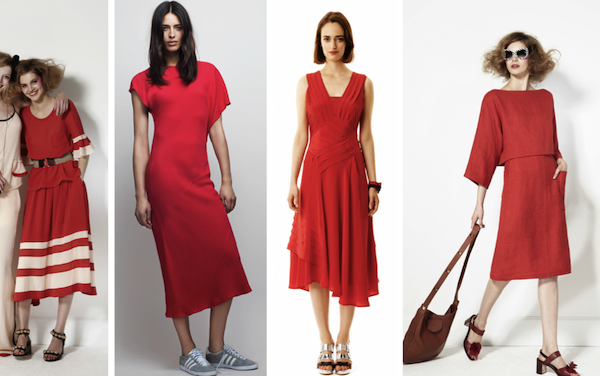 Red gowns to the grocery store. 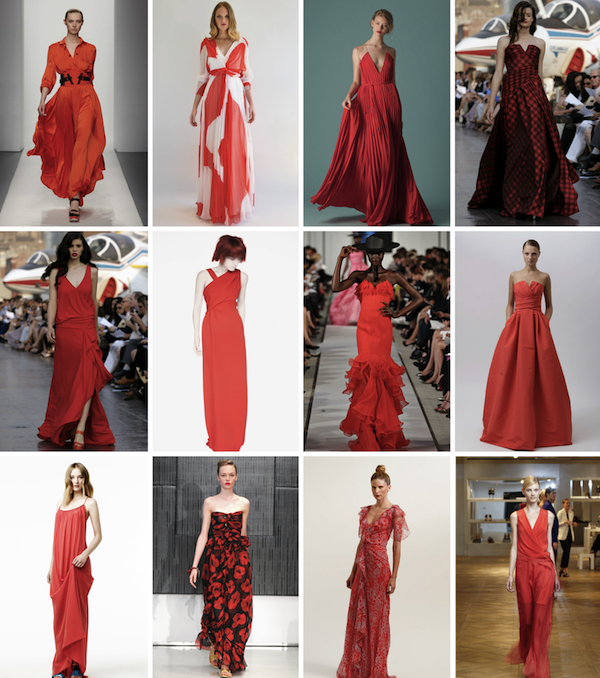 Red silk to the movies. It'd be pretty fantastic.